CRCST certification course is designed to provide the knowledge and skills necessary to provide competent services as a Central Service Technician. 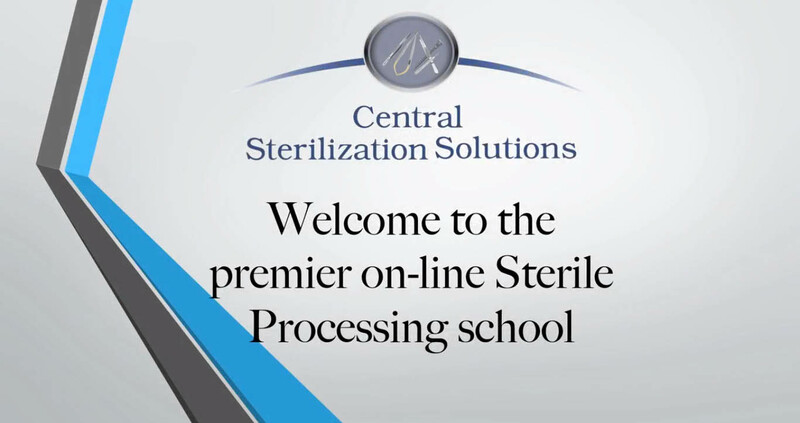 The (CSS) Sterile Processing Course (CRCST) is designed to prepare you for your Sterile Processing Certification. Either for someone who is trying to get into the medical field or someone that is currently in the medical field in need of certification. CRCST course has 24 chapters, quizzes and a final exam. This course will consist of reading your workbook, completing homework, chapter tests and a final exam. (For in class students) The time needed to keep up with this schedule will require that you dedicate a minimum of 25 hours each week to prepare and be ready for the exam. This online course is designed to be advances at the your own time. There is no deadlines or a minimum timeframe. We do recommend that you take your time with the textbook, workbook and online videos. From our years of experience, we recommend a steady pace of two chapters a week. This process has proven well for us and our students in class. But its designed to be advances at your on pace. You will also be required to volunteer at one of the partner hospitals and complete the 400-hour internship hands on training. This will help you pass the national exam as well as have you ready to apply for a position as a Sterile Processing Technician. Once you receive your course material, you will be working to complete the requirements to sit for your certification. This course will consist of completing your reading, homework and tests while coming into the class 1 day a week to discuss 2 chapter with the instructor. The time needed to keep up with this schedule will require that you dedicate a minimum of 25 hours each week to prepare and be ready for the exam. Joining [cn] will set you apart from other students and give you the upper hand when it comes to passing the certification exam as well as getting the job you want.